While the flexiVent is typically utilized to assess the mechanical properties of the lower airways, it can also be used for accurate measurements of nasal obstruction. As previously reported in respected scientific journals1-3, this approach provides a means to reliably and directly assess upper airway resistance in disease models. Similar to respiratory mechanics measurements of the lower airways, the flexiVent uses the forced oscillation technique to deliver a small amplitude test signal to the upper airways. Nasal resistance is then derived by the operating software from the pressure-flow relationship as described in the Single Compartment Model. 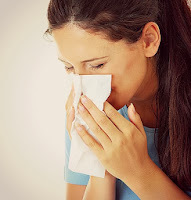 At the moment, these measurements are described in allergic rhinitis pre-clinical research, one of the most common allergic diseases worldwide affecting people of all ages. Our customer service team is happy to provide additional details or discuss how these measurements may compliment your research application. We invite you to contact us at [email protected] for further information.